Through the NG911 Clearinghouse, PSAPs can securely access device-based location information from enabled smartphones without the need for the caller to use an app, resulting in faster and more accurate location than Phase 2 information currently available. You can read more about the NG911 Clearinghouse here. 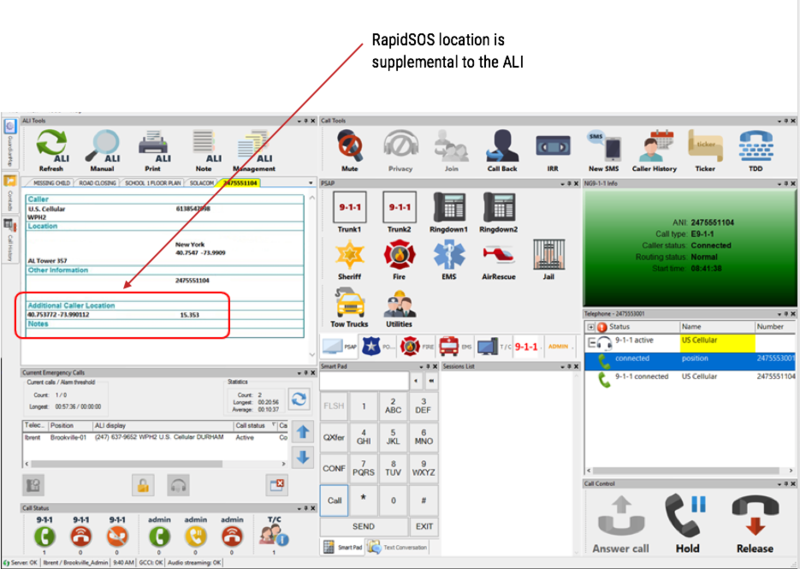 The RapidSOS NG911 Clearinghouse directly integrates into the Solacom Guardian 9-1-1 Call Handling software, with no change to existing PSAP workflows. 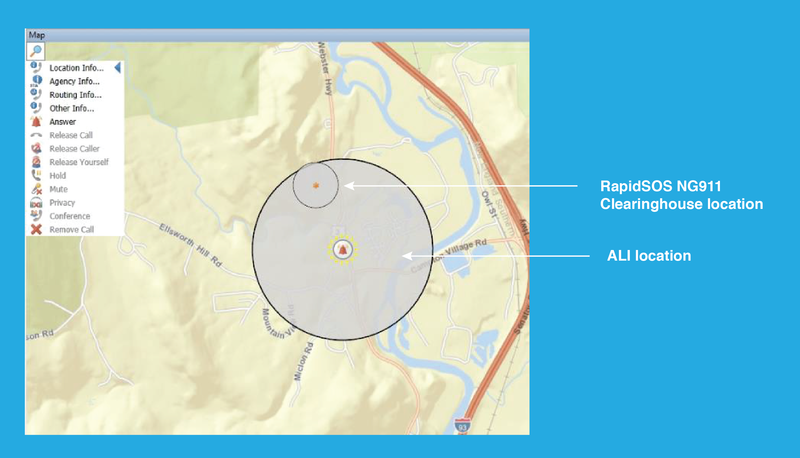 Whenever a wireless call is received, RapidSOS-enabled Solacom software will automatically query the Clearinghouse for supplemental location and additional data. The Clearinghouse will return the latest available known location from enabled smartphones. Accurate wireless caller location appears in the Solacom dashboard as supplemental data to the ALI location. Data from the NG911 Clearinghouse is available in Guardian versions 17.1 and higher. 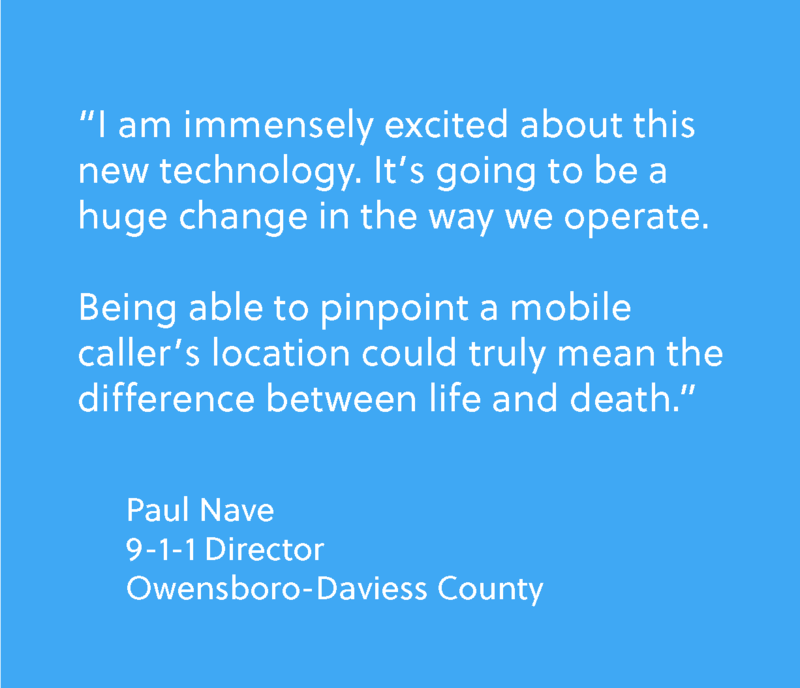 You can read about the PSAP deployment with Owensboro-Daviess County 9-1-1 in Kentucky here. Follow these 3 quick steps to receive the NG911 Clearinghouse integration in your Solacom Guardian 9-1-1 Call Handling software!